YouTube Music app has crossed three million downloads within a week of its launch in India. YouTube Music app has crossed three million downloads within a week of its launch in India, according to an official statement from the company. YouTube Music was launched last month in India along with YouTube Premium and YouTube Originals. “This year YouTube is celebrating 11 amazing years in India. We’re proud of the extraordinary growth across the platform, especially with music. Our tremendous scale and reach is why many talented artists and creators across India come to YouTube to share their voice with the world. 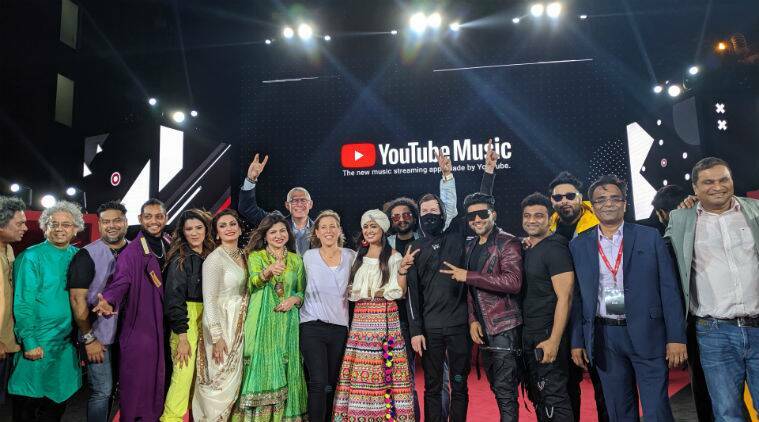 It’s why we’re seeing Indian artists connect with fans from Delhi to New York and everywhere in between,” Susan Wojcicki, CEO of YouTube said in a statement. YouTube Music is as the name suggests, is built on top of YouTube. This also gives the service a big differentiating factor, where users can also watch the video of each if needed. YouTube Music is a different app altogether and unlike the YouTube app continues to play music even when the app has been minimised. Users can download songs or just like them to create a list of liked songs or albums. Adding to playlist is also an easy option and those created before on YouTube are already listed in the app. There is also a recommendations engine which starts throwing up music you are likely to listen, based on your preferences or the previous songs that you heard. To listen ad-free in the background and with downloads option, users need to buy YouTube Music Premium subscription. For paid members, the Offline Mixtape automatically downloads up to 100 songs which they love on their mobile device. YouTube Music Premium is priced Rs 99 a month. Last month Spotify India had revealed that it racked up more than 1 million unique users in India across its free and premium tiers withing a week of launching in India. Spotify Premium is priced at Rs 119 per month. Recently, Apple Music revised its subscription rates in India and made it cheaper. The new pricing offers the service as a monthly subscription of Rs 99 for individuals and Rs 149 for families. To celebrate the success of the new service, YouTube also hosted a music night with the country’s music fraternity. Artists from across the country including Taufiq Qureshi, Akriti Kakkar, Alka Yagnik, Anirudh Ravichander, Badshah, Devi Sri Prasad, Guru Randhawa, Harshdeep Kaur and Jonita Gandhi performed at the celebration.